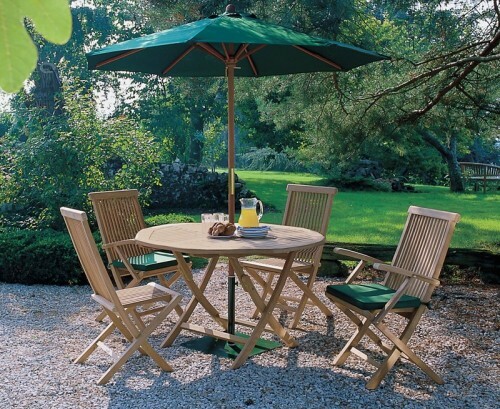 Dine out in style and comfort with this stunning Suffolk folding round garden table and chairs set. 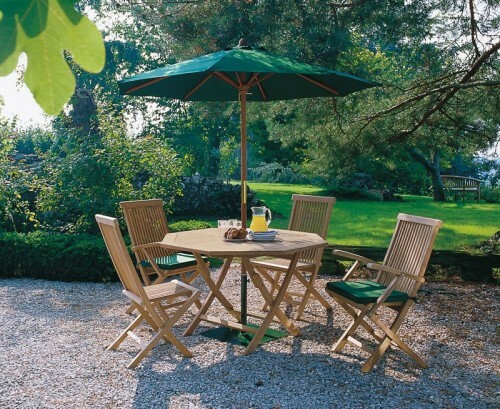 Representing brilliant value for money, this round garden table and chairs set is stylish, solid, practical and offers a superb combination of solid construction and a traditional style that can be incorporated into any garden or patio setting for al fresco dining at its best. 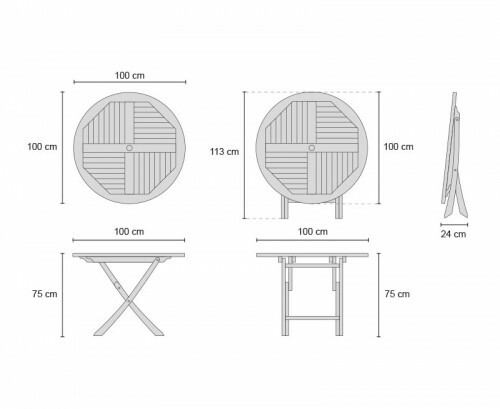 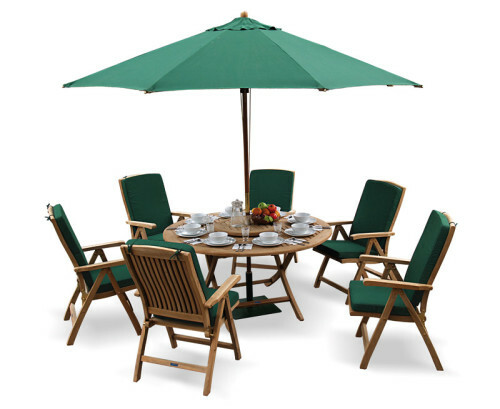 Manufactured to the highest spec in sustainable Grade-A teak for added durability and aesthetic appeal, our folding round garden table and chairs set has been built to last and can be left outdoors all year round with minimal maintenance. 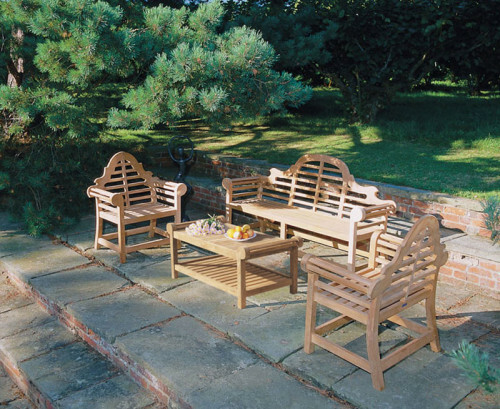 Built with practicality and style in mind, this Suffolk folding garden table and chairs set features a clever space saving fold away design. The chairs and table fold flat for storage, enabling you to make the most of your outdoor space when it isn’t required. 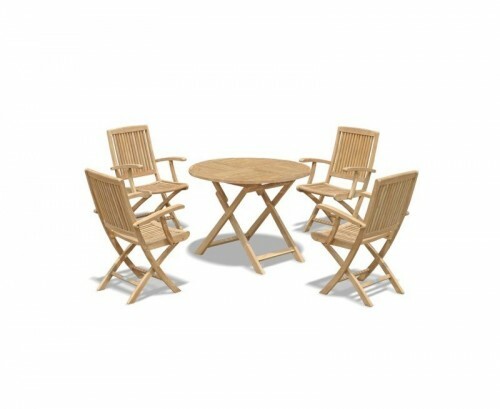 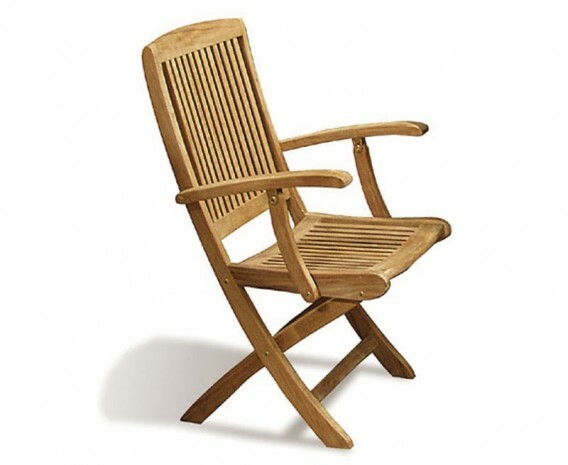 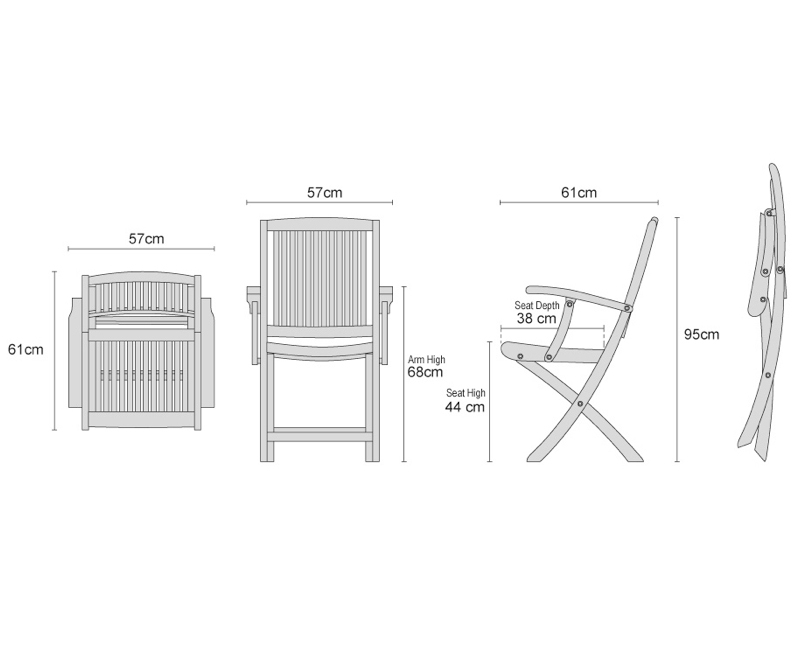 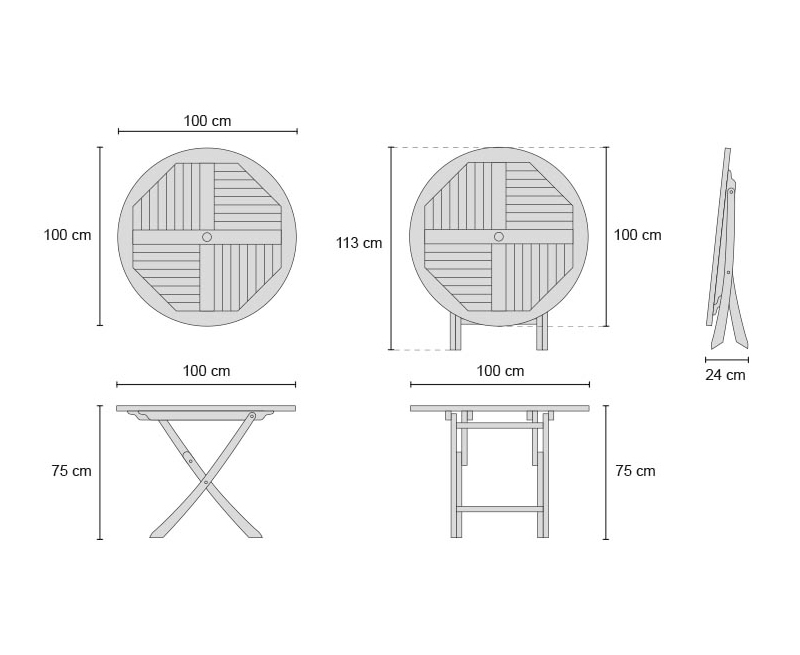 This Suffolk folding round garden table and chairs set will be delivered fully assembled for your immediate enjoyment.